The 23rd Annual SDCCU Festival of Arts in North Park is back Saturday, May 11th from 11AM to 10PM! 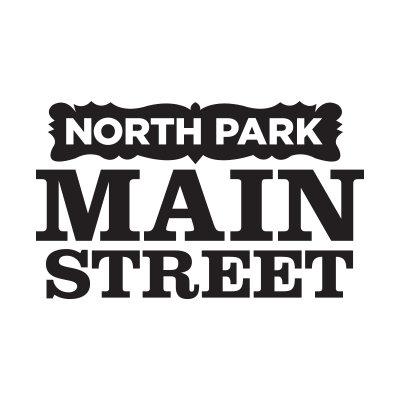 Experience this local North Park tradition, with live music, live street art demonstrations, music stages and local food! This event is FREE and for all ages! Don’t miss a fun-filled day and night of entertainment in San Diego’s hippest neighborhood. Live music, art, sunshine & the finest Craft Beers and Spirits come together at our annual Craft Beer Block at the SDCCU Festival of Arts in North Park! Free and open to all ages 21 and up, the Craft Beer Block offers full pour beers and spirits as well as an opportunity to sample the newest creations from our awesome brewers. For $27 choose 13 – 4oz. samples from over 35 different styles of Craft Beer plus keep the commemorative taster cup! Click here to buy your pre-sale Craft Beer Block tickets. JOIN US FOR A DAY OF CRAFTS, ART, AND FUN! We’re excited to bring you a day of crafting fun like only we know how! We’ll have many of our popular craft workshops, artisan vendors selling their Mexican & Latin-American goods, art installations, fun food treats like cotton candy, cupcakes, and more! Stroll through the streets of North Park as you explore new local and regional artists… the day transforms into to night in our hip artist lounge set with fun, upbeat music all surrounded by inspiring art. All artwork at the SDCCU Festival of Arts in North Park is available for sale. Interested in one of our large live art installations, click here. The SDCCU Festival of Arts in North Park takes Live Art to the next level each year by partnering with Visual Art Supply in un-tapping Southern California’s most raw and authentic street artists. This year we’ll have 3-4 artists set up painting live canvases with total creative freedom, working in their medium of choice on University Avenue & Illinois Street in North Park. This experience will be great for festival goers to absorb their awe-dropping works for art. In addition artists will be painting a live mural on the Nomad Donuts wall and two others will be painting a one of a kind art installation for SCOOP San Diego, an Ice Cream Festival also coming up in North Park. The experience is taken to the next level by local DJs spinning alongside our Live Art exhibit, which creates a unique experience to North Park and an eye-opening, camera-worthy day not to be missed. A variety of musical performances will include indie, pop rock, world music, blues, hip hop performances and DJ music. Click here for the full lineup. Keep the party going from day to night at the 619 Spirits Garden, where local distillery 619 Spirits will be crafting delicious cocktails. Redwing is bringing you their famous karaoke for a day full of drinks and singing.